Best Western Lanai Garden Inn & Suites est idéalement situé dans le centre de San Jose. Venez découvrir et profiter de notre hôtel à côté des principaux sites touristiques. Réservation au meilleur prix et offres exclusives toute l'année. Découvrez la Californie du Nord depuis cet hôtel confortable et pratique de San José, situé à quelques minutes seulement des attractions populaires que sont HP Pavilion et Winchester Mystery House. Situé juste à la sortie de la Highway 101, le Best Western Lanai Garden Inn & Suites vous offre un accès facile à San José et ses environs. Encouragez les Sharks de San José au HP Pavilion ou explorez les mystères de la célèbre Winchester Mystery House. Les familles séjournant dans cet hôtel de Californie du Nord peuvent se divertir au parc aquatique Raging Waters ou à California's Great America Amusement Park, ou encore visiter le Golden Gate Bridge, Ghirardelli Square ou Fisherman's Wharf à San Francisco. De nombreux restaurants et commerces sont également facilement accessibles, telle que la galerie marchande East Ridge Mall toute proche. Également connue comme capitale de la Silicon Valley, San José accueille beaucoup d'entreprises techniques et industrielles, dont IBM, Google, Facebook, Cisco, GE, NASA et Ericsson, Inc. Nos clients d'affaires apprécient la proximité de ces sites et d'autres attractions de la région, comme l'université d'État de San José, le Centre de congrès McEnery et le parc d'exposition de San José. Situé à seulement 13 kilomètres de l'aéroport international de San José, l'accès à cet hôtel de San José est facile. Le Best Western Lanai Garden Inn & Suites offre un service clients amical et des chambres confortables typiques des hôtels Best Western. Cet hôtel de San Jose propose des chambres et suites agréablement aménagées, toutes équipées de la télévision câblée/par satellite avec HBO® et d'un accès gratuit à Internet haut débit sans fil. Les clients de l'hôtel bénéficient chaque matin d'un petit déjeuner complet gratuit avec gaufres belges fraîches et disposent d'une gamme complète d'équipements incluant une piscine extérieure et un centre d'affaires. Le Best Western Lanai Garden Inn & Suites est fier de vous offrir un service clients de qualité supérieure et une situation idéale à San José. Réservez votre chambre et faites des économies ! Passez un excellent séjour ! "Very clean. Perfect for our stay!" Our travel up to San Jose area was for a medical follow-up. We looked for a 3-star hotel that had good reviews and offered FREE Breakfast & FREE Parking, for the Best Price. We found it here! Right off the 101, rooms were clean and excellent. This is clearly one of the best deals in the area! I'm a Hilton member; but, why pay more when this hotel offers excellent services! Only slight negative for some, but not us.....possible location. Hotel is in an Asian community. We found the Cool Tea Bar not far from the hotel and had possibly our best tea ever (Pearl Milk Tea & Honey Lemon Aloe Green Tea). We'll be back! After a long day with the wife we decided to stay at this location, and we could have not chosen a better place! Aurora was very polite and helped us chose a perfect room to end the day with. She let us know about the benefits of being a returning customer. Will definitely be coming back to Best Western. "Weekend Getaway in Silicon Valley"
The location was perfect for our needs. Breakfast was complimentary and had a good assortment of breakfast foods. I was impressed..There was an abundance of restaurants nearby for lunch or dinner. A convenience store across the street. It is near a freeway entrance so easy-on easy-off. The room was clean and plenty of space. Towels, linens were all fresh. Carpet was clean and no problems with Wi-Fi connections. We were very comfortable. The very best was the warm welcome we received when we checked in and throughout our stay they were there to help. Zenaida and the others are to be commended for their friendliness, good attitudes, excellent service and were very knowledgeable with the front desk questions. "The staff was very welcoming, helpful, great and friendly." Room is nice and excellent quality of foods. Sure, I will come back and stay here! Beautiful atmosphere and neatly looking through the parking and window wall out to the gardens and pool. Wonderful coffee's machine available 24 hours, fresh cookies accommodate for guests check-in and welcome in the afternoon. Thank you it was a nice stayed. "Good spot to rest your head"
The staff was very welcoming. Twan was a great manager and made sure my stay comfortable. I would not hesitate to book with him again for upcoming projects. I'm in the area every couple of months for business. First and foremost, thank you for returning to our hotel. Also thank you for writing this review. Thank you for mentioning me. We have worked hard to maintain and stay up-to-date with what our guests want. Thank you again for your review. We look forward to your next visit. Great, friendly staff ! Only surpassed by the super variety and excellent quality of food at the Sunday Brunch. Nice atmosphere looking through the window wall out to the gardens and pool. Fresh food and nice Champagne. We sure hope that was a sigh of relief. We appreciate your feedback! Thank you for mentioning the excellent customer service you received. Staff members read the reviews daily and it is always nice to see that their hard work and dedication does not go unnoticed by our guests. We have recently added items to the breakfast bar including pop tarts, chicken soup, bacon and new cereals. Always changing, always evolving, always trying to catch the right products for you all. We do hope to see you again very soon! My husband and I needed a room last minute and Tam was great and so understanding. He made getting a room last minute quick and easy. Everything else was wonderful as well. The rooms are spacious and comfy with all the nessecities. Their continental breakfast was delicious better then any other place we've been to. Even though they were booked there was still convenient parking available for us. We recommend this Bestwestern over any other and over any other hotel period. Thank you so much for posting a review on your recent stay with us. I am excited to read all of the great things you have to say about our hotel. It sounds like our team really knocked your experience out of park! I will definitely share your review with Tam and the entire team. We look forward to seeing you again the next time your travels bring you to our neck of the woods. Thanks again, we greatly appreciate your feedback. "Fabulous and extremely competent staff!" Grounds very well-kept. Reception the best! The two ladies who checked us in were extremely intelligent and competent. They worked very well together. Room was very clean and in good repair. Warm shower. Warm breakfast. Breakfast room attendant was very attentive. Location—not my fave—but ingress and egress were very well managed. The reception ladies were so awesome! Thank you so very much for taking the time to review! We're flattered to have such high regards. I am pleased that you get to enjoy our full hot breakfast in the morning. We have passed your compliments along to our two ladies as well. We look forward to welcoming you back in the future and hope you have a lovely day! "Bed Was Very Comfortable & Room Was Clean"
Stayed one night staff was very nice & professional. My Room was Clean & My Bed was Comfortable. I was here on business for one night only. Will Be returning in A couple of weeks to stay again for about a week. Thank you so much for taking the time out of your day to write a review regarding your stay with us. I so happy to read that your stay was pleasant and that you will return to us if you are ever in the area. That is the greatest compliment. Staff works hard everyday to bring the best in hospitality and I am very thankful that you took the time to recognize them for that. I will make sure to share this review with them at our next staff meeting. Thank you again for your review. Staff was friendly upon check-in and them daily breakfasts were adequate. I got ill and had to insist on having my room cleaned by staff via the front desk as 3 efforts to have it done were ignore by the cleaning service after acknowledging my repeated requests. Thank you for taking your time to review us Brian. I apologize that you did not get your room service although you did request it. The reason that you did not get housekeeping service was that you had the "DO NOT DISTURB" sign on. They are not allow to service your room if you had that the sign on. Please do consider us again on your future stay. I selected this hotel because of three factors; convenient since just next to the highway, free parking, and free wifi. Additionally, I found out that the hotel is very close to the Vietnamese area, with a lot of great food and stores. Price was reasonable but the breakfast was so so. I ate the first day and was not impressed at all so I rather went across the street and grabbed a sandwich instead. The room I had was ok. A double bed and a big and clean bathroom. The only complaint I have is that the room was too empty and had an annoying echo. I asked one of the staff and they said all room is like that. I would definitely come back if I am alone since I am not making any sound that echoes, but I will not come here with my family. Thank you for taking the time to give us your feedback. We are pleased that you enjoyed your experience for the most part. We hope that you will continue to choose us as your destination in the Silicon Valley. "Amazing Stay, Service, and Breakfast"
The staff was very nice and the hotel was very clean and quiet. I forgot my shampoo but I'm glad I did because the one they offered made my hair shine!! The breakfast they had was absolutely delicious! Thank you for taking the time to give us a perfect review. We are thrilled that you enjoyed your experience. We look forward to seeing you next time. Excellent value. Very clean, very helpful staff, great location. Breakfast was very good. Wi-Fi was excellent and fast - fiber optic. Front desk staff very nice - especially Tuan. Plenty of parking all around. It is so rewarding to hear that you had a positive enjoyable stay with us. Thank you for your comments. I'm glad that you enjoyed our clean comfortable hotel as well as the full hot breakfast. It makes me proud that our Guest Service Team was accommodating and eager to help our valuable guests. We look forward to serving you again should your travels bring you back to the area. "Reliable, Consistent, Excellent Amenities and Customer Service"
My colleagues and I have stayed here multiple times and have been so satisfied with the cleanliness, amenities, and customer service that we have made Best Western Lanai Garden are official hotel for anytime we are in the Bay Area. Looking forward to my next visit to San Jose because I know I have an exceptional place to stay. I want to thank you for taking the time to post a review of your stay. It's great to hear that you enjoyed your stay with us as well as the amenities we offered. Thank you for your review. We hope to see you again soon. The room was basic but a nice size, very well kept and clean. The bathroom was also spacious with excellent lighting for applying makeup. I checked in way after hours and the one remaining front desk staffer was kind and courteous. The continental breakfast also offered a few nice choices. Despite the fake tasting eggs, breakfast was mostly tasty and hot. Tam was very helpful when I first checked in. Made sure the room was clean and because I am a light sleeper found me the quietest rooms in the building. Room is very clean, no odors, and the bed is comfy. Breakfast is in the morning and very plentiful. Thank you for sharing your experience with us. I am glad that you enjoyed your stay with us and it makes me proud that Tam provided superb service. We will celebrate with him, he is the reason why our guests come back time and time again. In regards to the fingerprints, I passed that on to our Facilities Dept. Again, thank you for staying with us and for sharing your feedback. "Great Service and clean hotel"
Had to book a hotel at last minute for our return flight and this hotel had great service and was clean.The person who answered the phone when I called was pleasant and made sure I had my rooms all set. We had to catch an early flight and the woman at the front desk offered to make coffee and gave us some water bottles.This was 4am I would definitely stay here again for a stopover . Thank you so much for taking the time to write your review. We are beyond pleased to have read that your stay met your expectations. Just as you mentioned, our front desk thrived to provide the best service. Our housekeeper also do a very good job keeping the room clean. Thank you again for your review. We look forward to your future reservations. We needed a room for a one-night stay in the area. Room rates in the San Jose area are generally very high per night and this hotel has a much-needed lower rate. This hotel is located by the freeway, rooms are clean and the stay includes a decent self-serve breakfast that will help get you up and out the door. Very nice and friendly staff and manager. We'd stay here again. Thank you for taking the time to write this review regarding your recent stay with us. It is always so helpful to know what we did right and what things that we can improve on. I am glad that you found the staff to be friendly and enjoy our great breakfast buffet. Your comments will be shared among our staff. We thank you again for your time. We hope to see you again soon. Thank you so much for taking the time to write your review. We are beyond pleased to have read that your stay met your expectations. Just as you mentioned, we are very close to the freeway 101 and many places to eat around the area. I am so happy to read that you found our breakfast to your liking and also the new revamp highspeed internet. We try very hard to give our guests everything they want and need. Thank you again for your review. We look forward to your future reservation. Very convenient location for traveling Hwy 101. The property was quiet and restful with a good breakfast. Clean room with comfortable bed. The staff was friendly and helpful. If we travel that way again we will use this motel even though it was expensive. San Jose is an expensive place to be. Thank you for the wonderful feedback of Best Western lanai Garden. We are delighted to know you loved each and every aspect of our hotel and that our courteous associates made your visit a memorable one. Your kind compliments will be shared with the entire team. We look forward to seeing you both back soon. Thanks for being our guest. Hotel is located in a less then desirable area of town. We were approached by at least 2 homeless people while unloading. There were numerous homeless not only around the hotel but in the area. Didn't feel safe. The hotel itself was dirty. The carpet in the hallway was dirty with numerous stains. The hotel only has one way in and out because it's behind two other stores. The driveway itself empties onto a busy street right at the light so trying to get out is very difficult and time consuming at times. One of the worst hotels we stayed in on our trip. "Our visit was Amazing. The staff were very professional and friendly. They remembered us from previous visits and alway"
Our room was always clean upon arrival and kept that way throughout our stay and they respected our privacy. Our jaquzi tub was kept clean and supplies for our room never ran out. The Contenental Breakfast always wonderful. Decent property in San jose. Convenient to freeways if needed. Area is somewhat sketchy and not conducive to walking about. Pricing on rooms in San Jose is sky high so $250/night plus tax may not be out of line for this area but it IS a BW not an Embassy Suites. Hotel employees generally pleasant and helpful. Only complaints are 1) a major influx of cigarette smoke into the room the last morning of my stay not sure if it came from the inside hallway or outside but made staying in the room any longer unbearable and 2) not much soundproofing as you could hear every word from people walking in hallway and adjacent bathroom water use was very noticeable and disturbing. I would stay here again if needed but I may need to get a second mortgage to afford it. Thank you for your review ! We keep our prices competitive with other hotels. I apologized for the cigarette smell. Our property is a Non-Smoking hotel but there are guests that inconsiderately breaking the policy. Your support and feedback inspires our staff to provide every guest with the best customer service every day! Thank You again and come back and visit us again soon. From stay at several locations with Best Western, I give this hotel an Average rating. Could use some updating in rooms and better breakfast choices. Good Customer service and location. I would stay again with Lanai Garden Inn & Suites. Thank you for your review ! Your support and feedback inspires our staff to provide every guest with the best customer service every day! Thank You again and come back and visit us again soon. Enjoyed our stay. Clean rooms. Bigger signage is needed as cannot access Inn off Tully.Street Must turn on Lanai and then drive in front of a mattress store and around behind there to get to it.I would stay here again. Thank you for your recent review on Trip Advisor. We appreciate you taking the time to let us know about your stay with us. I am so glad that you enjoyed our convenient location and clean room. I apologize for the small entrance sign. We are not allow to have a bigger sign due to city permit. We truly appreciate your business and look forward to welcoming you back. Dear Pat, Thank you for taking the time to write us a review here. We are glad to hear that our location fit your needs and that we were able to provide you with a clean and quiet property. We do have Wi-Fi at our property. When you check in at the front desk, the Wi-Fi password is located on your room envelope. I apologized for the confusion. Please come back and visit us again. The Best Western Lanai Garden Inn is a great place to stay in this area. The only change I would make is in the breakfast room...The coffee machine does not serve very good black coffee. If that can't be corrected, then I would replace it with something else, if it were up to me. We will come back, but hope we can get better coffee!. Dear Connie, Thank you for your feedback! We appreciate you taking the time to review our property as it allows us the opportunity to improve our services. We are so happy to hear that you were able to enjoy your stay with us. I apologize that you did not like our coffee machine. The coffee grind fresh high grade coffee beans per cup. It is as fresh as it can get. Normally we get great review for our coffee for breakfast. The cappuccino machine also makes espresso for the stronger coffee drinker. If you add a shot of espresso to your black coffee it will definitely give it a great boost. We look forward to welcoming you back soon, and thank you again for choosing Best Western Lanai Garden. Sincerely. The Best western (Hotel) has an excellent apperance. It Has very clean and roomy rooms. Their breakfast area and food are very clean and satsfying. Very Desierable locatiom. Acess to freeway. very quite. Dear JB, Thank you so much for staying with us and for taking the time to leave us a perfect score review. Your review is vital for improving the service and quality we offer to our valued guest. I am pleased to know that you had a satisfactory stay at our property. It is always hugely motivating when one takes the time and trouble to acknowledge or give points for our great service.. This feedback will be shared with our staffs that can help us make a difference to ensure our valued guests needs and expectations are met in the future. Thank you once again for your valuable comment, and if you might have any suggestions that will contribute to enhancing your stay, please do not hesitate to contact us. I give this place 5 stars for a 3 star hotel. We came here for my brothers graduation at San Jose state. This hotel is close to the high way easy access. There is a strip mall with good food 5 min away. They have a full breakfast-pancakes, oatmeal, cereal etc. the morning/afternoon staff was very friendly. Thanks Tuan for helping us out with check in and making the transition easy for me and my baby! We had a king suite enough room for her to crawl around set up our pack n play and more. Only one negative the back patio was by our room but it didn't ruin our stay. I recommend this place if you are visiting family/friends at San Jose state. Don't forget to use your AAA discount! Dear Jasmine, Thank you for a great review ! Your support and feedback inspires our staff to provide every guest with the best customer service every day! Thank you for mentioning the breakfast. We have worked hard to maintain and stay up-to-date with what our guests want. I am sorry that you do not like to be near the patio and next time we can put you away from it. We surely hope that the next trip to San Jose brings you to us! "Good for a night or 2"
VERY close proximity to freeway....comfy rooms/great offerings at breakfast..pillows were too soft for us and we usually travel with our own, but forgot them. I am a pool person, but there's is very small...in a small, locked fenced -in area behind the hotel....very cold water...not too inviting and the craziest procedure to get back in to the hotel from pool area; have to first tell front desk to open door to outside....then go around to front to get back in? Very confusing...not like the usual use-your-room-key to open the pool gate. Hospitable front desk peeps. Dear Ca Mama, Thank you choosing our hotel and taking the time to leave your kind remarks! We're glad you enjoyed our convenient location and had a pleasant time. I apologize for the tricky back door pool entrance. Due to strict security, we have the entrance monitored by the front desk and only allow hotel guest to enter. We appreciate your loyalty towards the Best Western Lanai Garden and hope you will continue making us your home again in the future. Fair in all conditions. Cleanliness is not so great. Very less amenities. WIfi and Breakfast are the couple of things which worked out to be the best. Room quality is not so good. But house keeping is prompt enough to meet the gaps. Thank you for taking part of your time to write a review. We apologize that your stay at the BEST WESTERN Lanai Garden was not up to your expectation. Your satisfaction is important to us and we will be using the feedback you gave us to implement improvements to ensure we offer a better experience for guests in the future. I hope that you will give us a second chance to prove our superior hospitality. "Great Place to stay in San Jose!" This hotel is our first choice whenever we go to San Jose. Very close to the 101 freeway, clean, quiet rooms, friendly staffs, good breakfast, free internet and free parking. I would recommend this hotel for all the convenience that I enjoyed while I stayed there. Dear Velchella, Thank you for the fantastic review of the Best Western Lanai Garden Inn & Suites. It is a pleasure to know you had an amazing stay with us and loved our clean & well-appointed room, along with the breakfast and service provided by our friendly staff. Thanks again for recommending us and on behalf of everyone here, we invite you to stay with us again the next time you are in San Jose. Nice quiet room. Staff was very friendly and helpful .Breakfast, parking and internet was included in room price. 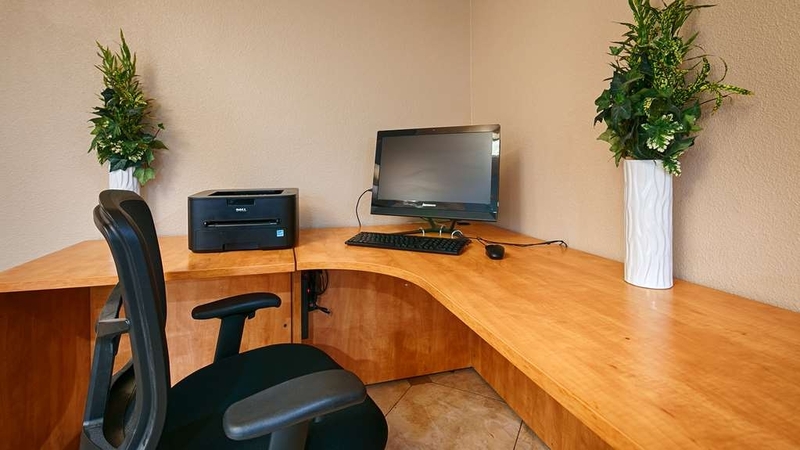 A good hotel choice for work in Los Altos at a much cheaper price. Hotels that are in the San Jose area are twice the price. Remember AAA membership will get you a lower room price with cancelation privilages. Dear Elaine, Thank you for taking the time to write this review regarding your recent stay with us. It is always so helpful to know what we did right and what things that we can improve on. I am glad that you found the staff to be friendly and helpful. Your comment will be shared with our staff. We thank you again for your time. We hope to see you again soon. Clean hotel, comfortable rooms, great value, convenient location. The beds were very comfortable and the rooms were spacious and well maintained. Free parking on the property. The hotel is close to 101, so access to and from is convenient. Enjoyable stay overall. Dear 842ravib, Thank you so much for taking the time to provide such a warm and sincere feedback. I am happy to hear that you have enjoyed your experience with us and that we have exceeded your expectations. Your comment will be share with the team for going above and beyond to provide you with a memorable service. Your satisfaction and loyalty are our top priorities. Please come back and see us again soon. "The Place to Stay in San Jose!" Wonderful one-night stay at this nice hotel, located just off the expressway. While in a busy location, we had a quiet room on the ground floor away from the traffic side. Great recommendation by friendly check-in clerk for dinner at a local seafood restaurant. We would definitely stay here again. Dear Patricia, Thank you for the fantastic review of your stay at Best Western Lanai Garden Inn. We are so happy you were thrilled not only with our excellent service but also with your comfortable quiet room. We appreciate you recommending us and look forward to welcoming you, your family and your friends back soon. It was my first time staying at a BW. I really enjoyed my stay here. It blew my expectations out of the water. Very clean and comfortable. Breakfast options as good if not better than most other hotels. The coffee machine was exceptional. Better than most Hilton's and Holiday Inns I've stayed at. A+ on the coffee. I know for me and some others that might be the most important criteria. Thank you for taking the time to leave such a detailed review after your stay with us; we are so happy to hear that you enjoyed our full hot breakfast in the morning and especially our coffee. We are trilled that your overall stay with us was so enjoyable, and I will be sure to share your kind words with our staff. We look forward to seeing you again! If you are situated on the side of the hotel that is facing Tully Road you will hear nothing but Tully Road. Occasionally you can expect to be woken up by a garbage truck. The staff and amenities were perfectly fine but if you are a light sleeper, look elsewhere and insist you get an even numbered room. I was prepared for freeway noise, but underestimated the neighborhood's residents ability to get on the freeway like a normal human being. The structure of the building allows you to be intimately involved in the volume and conversations of your neighbors water and bathroom usage. Dear Glenn Krichards2018, Thank you for completing the survey regarding your recent stay at our property. On behalf of our entire team, I would like to apologize for not exceeding your expectations. Your satisfaction is important to us and we will be using the feedback you gave us to implement improvements to ensure we offer a better experience for guests in the future. I hope that you will consider staying with us again so that we can have another chance to provide you with a superior experience. "Great if price is under 170$"
I guess that you expect to get what you pay for. I booked this hotel for 140$ and just after one week price jumped to 240$. Bottom line, for the price I got, this is great place to stay. If it goes over 170-200$ I would expect more. Rooms are big and clean, well maintained and comfy to stay. There is no safe deposit box in the room! Basic breakfast not much variety. Don't expect much more that Bagley, pancakes and serials. Location, no complains. Not in center but lot of local simple shops and restaurants around. Thank you Raana for taking the time to give us your review. We are pleased that you enjoyed your overall experience at our property but I do apologize for the price jump. We keep our prices competitive in the area. I see that you mention breakfast was basic and not much varieties. I think you might've missed a lot of the items that were served in the morning. If you open up the chafer that is where the hot items like egg omelets, sausages, and seasoned potato. We also served soup of the morning like chicken soup or clam chowder. Also our pancakes is not simple because we also provide 6 different toppings that you can add to the pancakes or oatmeal. I notice you did not mention our cappuccino machine that brew fresh coffee from high quality coffee beans. We also have the safe deposit box at the front desk if you need to store valuable items. Please do come back and visit us again and enjoy the amenities and great services. "Impossible to sleep with highway noise + fire alarm"
Thank you for taking the time to write a review regarding your stay here with us. We appreciate all of the feedback that we can get. We are located on busiest part of San Jose and more traveled roads in the area. For this reason, some noises can be heard from the street side rooms of the hotel. This varies from person to person. The hotel does the very best to accommodate requests and assigned quieter room on the back side of the hotel. I apologized for the fire alarm noise. Our property is non-smoking hotel and some guests ignored the policy and inconsiderately smoke in the hotel and set off the fire alarm. I hope you can give us another try on your next stay and request the quiet side of the hotel. The Management Team. "LOVE this place, can't get enough"
I LOVE this hotel. I don't stay anywhere else when I come to San Jose. The staff is so friendly and accommodating. Breakfast is fresh and full of options. The rooms are clean and updated. I would recommend this hotel to anyone looking for a clean, affordable, and relaxing environment. Great location... close to everything don't let the neighborhood fool you. This hotel was very clean and reasonably priced! I never heard another person on the floor. Only the water pipes for showers. Thank you Marcela for sharing your great review with us! We're very pleased to know that you had a wonderful stay and of course we hope to see you again in the near future! The area around the hotel is not the greatest but it is growing with movie theaters, other restaurants as well as recreational places to explore. Come see us again in 2018 as we will be undergoing our guestroom renovations that come with exciting changes. Thanks again and best to you always! "Broken bathroom, unemptied garbage, lack of concern"
I arrived to discover that the room key did not work. after multiple attempts, the manager had to use a master key and then come back with keys. upon entering, I realized that the garbage from the previous occupant had not been emptied. The toilet handle leaked and was broken and the shower head was detached from the wall and water did not come out so we were unable to shower. The manager offered to empty the trash, but we had to leave and why was it not emptied before re renting the room?? "Very nice motel right off freeway"
We had a very pleasant experience at the hotel while visiting family in San Jose over Thanksgiving. Very clean; comfortable bed; the serve yourself breakfast was so good, especially the "instant pancake" machine, we could hardly eat Thanksgiving dinner that evening! The staff was friendly, room was clean and breakfast was decent. It's right off the freeway so that makes it easy to get to, but I just wish it was closer to more stores. If I am in the area again, I will stay here! This place relies purely on the fact that it is conveniently located. They charge exorbitant rates and obviously do not re-invest any of this money back into their establishment. I have to say the staff is very friendly and helpful. Everyone was great. The facility though, is greatly lacking. The plumbing needs to be improved. Also the paper-thin walls was a big drawback. I heard every neighbor flush their toilet, and the freeway noise all night. My room smelled musty, and was not well cleaned. It's only a mile from my client, but that's about all that is good here. Dear Adam, Please accept our apologies for not meeting your expectations because of the noises from our facility while you were our guest. The issues will be addressed to our engineering department for improvement. We hope that you will give us another opportunity to make it right the next time you are in town. Excellent place to stay. Room location was quiet. Room was very clean. Due to room access only available from one main entrance at the front desk, the hotel felt very secure. Very convenient freeway access. Attractive price considering the full breakfast range offered. This hotel is overrated and un secured there was people walking around outside with hoodies from the bushes and I could not get in the door with my key at night I was not offered a late checkout and I'm a Diamond select member this hotel I would not recommend to anyone not even for one night! Thank you for the fantastic review of your stay at Best Western Lanai Garden. We are delighted our convenient location in the heart of Silicon Valley was perfect for your needs and that you enjoy our great customer service. It was a pleasure having you as our guests, and we look forward to welcoming you both again soon. The Management. "Best Western in San Jose"
The room is very clean and so comfortable. The hotel service is excellent, the hotel staff is also very friendly and helpful.The morning breakfast is the best. I would stay again at this hotel on my next trip. The printer in the business center was out of toner and no one seemed to care enough to replace the cartridge until confronted. Also, you can hear every word said in the hallway. Water pressure fluctuates. BRING EAR PLUGS!! "Good location hotel but everage services"
The Hotel is at the corner of Tully road and 101 highway. It is convenient location for us to get everywhere We need to go in San Jose. Breakfast is poor. Houseskeeping make noisy when clean the room early in the morning, forget to provide shampoo and conditioner when make up room. We stayed four night there but probably not return if we find somewhere better. We prefer Bristol Hotel but it was fully booked during the time we were there. Dear Anh, thank you so much for this awesome review. Making you happy makes us happy! We are glad that everything went well during your stay and that our service and location made for a memorable experience. Thank you for choosing Best Western Lanai Garden. We hope to have the opportunity to welcome you back for a future stay! "Excellent staff, clean, comfortable and wheelchair friendly accommodation"
We arrived on a hot day after a long exhausting drive. Hotel staff were friendly, excellent customer service at the front desk, room service and at breakfast. Check in was quick and easy. The room was clean, spacious and comfortable. We stayed in disabled access room. The bathroom in the wheel chair accessible room is well designed with built in bench and grab bars located within reach. Had a pleasant stay at the hotel. Dear Pratima, Thank you for choosing Best Western Lanai Garden during your stay. We appreciate the great review of your flawless experience. Your compliments will be shared with our team, and we look forward to welcoming you back for another successful stay in the future! "Great Stay - Clean, Comfortable and Quiet, Excellent Customer Service"
We stayed for a long weekend when it was very hot. Thankfully, the hotel staff did everything to make it the most comfortable stay for us. The staff was very helpful and checked us in quickly even when the hotel was full. The room was quiet and comfortable and importantly cool. We had several choices for breakfast and it got replenished quickly. Overall, a great stay here for the family. Dear Kalramano, Thanks for your review! We are delighted to read how much you like our breakfast and found our team very helpful. Our team does a wonderful job maintaining our facilities and we are very happy everything was to your liking. We appreciate your kind review and hope you will be back to see us again soon. Thanks again! Gerat Hotel and personal, room was nice and cleaned, AC worked great since it was a hot day/night when we arrived. Breakfast was awesome they had a great variety of food to choose from. the freeway to head back home was very close to us. Thank you for staying with us and for providing your feedback. All feedbacks are important to us because it gives us an insiders look at your experience and expectations. That way, we can better anticipate your needs. Thank you again and we hope to see you soon. The Staff was friendly and welcoming. The breakfast was good and started early which was great for us since we had to leave so early. The coffee was very good too. The coffee machine offered so many choices. Thank you for evaluating your stay. Nothing is more important than your satisfaction, so we are delighted to know how you get to enjoy our full hot breakfast buffet. We appreciate your business and hope to welcome you back soon for another enjoyable stay. "Worst experience in my 15 years of work travel"
I have never left a hotel review prior to this one, but felt compelled to share the ridiculous experience at had at this hotel. I was in town for several days for work. The first evening around 6:30pm I began to hear drilling in room next to mine. It went on for about an hour. I called down to the front desk and they told me they were doing construction on the spa tub. I asked them to stop as it was now 7:30pm. The next afternoon I was in my room trying to get some work done around 6:00pm and I heard sawing and looked out my window to find construction workers sawing what looked like tile a few feet from my window (mind you I was on the first floor). I called the front desk and the lady told me yes they were doing construction but she couldn't do anything to stop it. I was not notified of any construction being done on the hotel prior to my stay or when I checked in. She said I would have to talk to the manager. She then called me back to say they were going to wrap it up. However, the power saw continued. I called again and she said I needed to "hang tight" until they finished up. I said that was unacceptable and it needed to stop now. She then came to my door and proceeded to tell me that there wasn't any construction next door. I told her it was just outside my window. And she accused me of being violent. Which I said I was certainly not. I did raise my voice. Obviously I was upset, but not violent. I was shocked at her attitude toward the situation. At that point, I shut the door and she said she was calling the cops. Are you kidding me? I then went to the window and took photos of the construction workers cleaning up their tools and putting them in their truck. To show the cops (although she did not actually call them...it was a completely ignorant comment to make, as my complaint was clearly justified). I would have gladly explained to them the situation and I am sure they would have been completely annoyed that they wasted their time with a justifiably upset customer who just wanted to some quiet to get work done. My company is paying $170 plus all the taxes for this per night. I only stayed at the Best Western because it was close to my appointments. Never again! I am sticking with Holiday Inn and Marriott from now on and I would recommend the same to anyone else. Again, in 15 years of constant travel as a sales manager I have never experienced such poor customer service and treatment from hotel staff. I have experiences that weren't the best, but never to the point of feeling compelled to take the time to write a review. Don't stay here! Thank you for your recent review on Trip Advisor. We appreciate hearing back from our guests about your stay with us. I sincerely apologize for the problem you encountered during your stay. Our contractor was tardy from the original appointment and was working later than usual. As soon as the front desk received the complaint about the noise, she immediately stopped the renovation. Please do give us another chance on your next stay to make things right. Pros: continental breakfast, spacious room, friendly staff, quick check in/out Cons: noise from Tully Rd, location, only one entrance/exit Stayed for 3 nights. Pleasant stay, no major issues. Suggest getting a rm facing away from Tully Rd or bring some ear plugs. Thank you for taking time to write a review of our hotel. We are pleased that you enjoyed most of your stay with us. Please come back and visit us again when you are back in the area. The receptionist at this Best Western acted as if my problem was her's, She went out of her way to help me due to my suitcase not being packed. Everything about this hotel was delightful; an excellent room, exceptionally clean with a jaccuzi in one corner. Food was fresh and tasty for breakfast. Thank you for your excellent review! We are so delighted to read that you enjoy your stay at the Best Western Lanai Garden Inn in San Jose. We always strive to create exceptional guest experiences. Please stay with us again for another memorable stay! "Not a BW Plus, but close"
Newer inside and out. Friendly staff, clean room, good freeway access, breakfast was just what you'd expect. Not a Best Western Plus, but close to it. Would have no problem staying here again. Weather was great, traffic was light. Starbucks close by. Thank you for your rating and review. I'm very glad to hear that you enjoyed your stay. It is always great to hear our guests experiences at our hotel. Come back soon! The hotel isn't awful. The rooms seem a bit old and the furniture has dings here and there. But at some point they decided to add motion detectors to the lights and they didn't plan it out very well. During the night, the light near the door would come on repeatedly when someone tossed and turned too much or something that would set it off. In contrast, the light would turn OFF when we were taking a shower and we'd have to get out, dripping on the floor, and wave our hands to get it to turn the lights back on again. It seems like such a small thing but it really made our stay uncomfortable. Joe, We are sorry to hear about your stay at our hotel. Thank you for you comments and we will share this with the appropriate teams to ensure this is an isolated issue. We hope you will reconsider us again. The room was dingy and not clean. Cleaning staff was not thorough in cleaning from previous tenant. Cobwebs were seen in at least two different areas of the room. The manager tried to make it right but you can't cover up something that is not done properly. Thank you for your recent review on Trip Advisor. We appreciate you taking the time to let us know about your stay with us. Please accept my sincere apologies for our housekeeping oversights. We will definitely address this with our team for improved performance moving forward. Thank you for your business and we hope you will reconsider using Best Western in the future. The location of this hotel is right off the freeway although you might miss the sign after turning off the main road. Could use a bigger sign especially when Waze wants to misdirect you. Rooms quiet, very clean and the breakfast food was very fresh with a lot of options. Hotel staff helpful. "Everything good price so expensive"
Thank you for your feedback and your complimentary on Senaida. Your concern on the pricing will be addressed to the management team. We were going to the Queen Concert at the SAP Center in San Jose and needed a place to stay. The BW Lanai Gardens was the perfect place to stay - it's right off the freeway, but quiet. It was an easy drive to the concert. The beds were super comfortable. The rooms and bathroom are simple but immaculate. The curtains had been replaced with shutters since the last time we stayed there - a very nice look. When we got back from the concert, we had a late dinner at the Denny's across the street - very convenient! The next morning we had the breakfast downstairs - great coffee machine with multiple choices including hot chocolate. The usual breakfast items - juice, cold cereal, pastries, cheese omelet, pancakes, etc. The manager Tuan (great guy) told us there are other eating places near by but Denny's fit the bill that late at night. They also have cookies at the desk in the afternoon! I would definitely stay there again the next time I'm in the San Jose area. Thank you for giving us such a great review Susan! I am glad you get to enjoy the concert and had a great stay. Hope to see you ladies again on the next concert. "Bugs - not what we were looking for"
When we checked in, everything seemed fine. Check-in was ok. Room was ok. Nothing spectacular, average. While sitting in the chair I noticed something was on my arm - I thought it was an ant. Then there were more. Then we saw little bugs skittering. Had no idea what they were, but we wanted out. The front desk changed our room, but I was uneasy and itchy all night. I cancelled the stay for the next night. The woman at the front desk said I don't blame you. I mentioned the incident to the manager the next morning, who said he was aware of the problem and the exterminator was coming, but he didn't know what type of bug it was. I showed him a picture, and he seemed relieved when he said "Oh, baby cockroaches, those are easier to get rid of." I guess bed bugs are harder to remove. Yikes! He gave a $50.00 refund on the room; clearly not enough, but I just wanted to leave. We will not be returning to this hotel. Rooms are clean and tidy but security and temperatures are a concern. Room was located on the very furthest location from the front desk and the hallways are not air conditioned in the least. In fact, the pool access door was always kept open even when the sign said to keep it closed which added to the temperatures within the building. Always a nice breakfast provided but the new coffee machine gave more issues than necessary. Arrived during a later check in and the FD Staff informed us that we could not use Best Western point accumulation as we has booked through Expedia. On check out we inquired again to find that this was not the case and found that a random account number was listed on our account??? Hmmmm.... Very handy for travel but the sounds of cars and trunks on the on and off ramp would not be welcomed by the leisure traveler. We apologized for the inconveniences and your concerns are noted. Our management team will make the improvements to better your next stay. i am a best western rewards member with a status of DIAMOND for my frequent stays at BEST WESTERN. i love the friendliness i receive when i stay with them. But in all my years i have never ever been treated like i was an inconvenience. This entire hotel staff is very shady. i tried calling to get the rude employees name that ruined my trip but they did not want to help me in any way what so ever. I understand that each hotel is privately owned so why would BEST WESTERN want to have such condescending employees represent them in such a way?? the front desk was the worst i have every encountered and the front desk either make the experience good or bad for every guest and it ruined mine. i HATE this hotel and will make sure my colleagues never stay here EVER!!!! i wish i could take my money back. i hope they learn some customer service and remember that sometimes a guest may be going threw some things in life and to always treat every guest the same not choose who we are nice too.. front desk was a male and Asian who made my night even worst after finding out my aunt just died. He had no idea what the meaning of customer service was!!! Dear Mr. Me Y, we have no record of your stay at our hotel. Could it be another Hotel? I had a pleasant, quiet stay which is exactly what I needed. If I had had any problems whatsoever I'm sure the Best Western staff would have found a solution to almost any major or minor situation. Thank you again for the pleasant stay. Thank you for staying us!! Please do come back again and visit us. "Just what we hope for when staying at a Best Western!" We stayed here while up at San Jose for one night for concert at the Club Rodeo. We usually stay at Best Westerns and found this to exceed our expectations. Here are the things that we loved: The breakfast has everything we hope for and more: omlets (rotates with scrambled eggs manager said), hot sausage, actually they had hot chicken noodle soup!, yogurt, boiled eggs, pancake (automatic maker), dry cereals (including my favorite: Kelloggs Frosted Flakes), oatmeal, apples, bananas, drinks (cranberry, apply, or orange juice), automatic coffee ( many kinds at the press of a button), danishes. Can't really list everything but for a Best Western I found it the best I see (10 out of 10 for a Best Western). Wifi: I video tape the concerts we go to and then process the media and upload to YouTube for fans who couldn't make it. I found the upload speed very satisfactory (probably almost the same as what we have at home). This is often not the case I find but was pleasantly surprised. Comfortable bed, refrig, microwave, and coffee maker. very friendly front desk manager (and breakfast assistant). Things I didn't like: I'm being picky here but I'll just note a few things that weren't perfect. I personally don't care for the type of coffee maker in the room (single cup, manual type) but not really that big a deal. The wallpaper in the outside hallways was starting to peel in some areas (I personally could care less about this but just list it for those who do care about such things). The manager stated that they were in progress with fixing that as well as some other renovations. Overall for the things that matter most to me I would give this place a 10 out of 10. If you are looking for perfect, very new, updated facilities then you might be a bit disappointed but for me I will DEFINITELY stay here the next time i'm in the San Jose area. Thank you for your great review Douglas. You are always welcome back again!! Unfortunately I only stayed one night here after a long day at work and had to check out early the next morning but besides that this was a really nice place to stay and the staff at check in and check out were both very professional and efficient in getting me in and out when I needed too. If I'm ever in the area again, I will make it a goal to stay here longer. Thank you for choosing us and taking your time to give us a positive review! If you are looking for a very nice hotel with surrounding restaurant's and shops also with freeway access this is your place. Most important to my family they have outstanding staff that treats you with superb respect and assists you without hesitation. Try them and you'll return again and again. "Hash brown in the microwave"
The staff was very kind. The problems were that when opening the microwave on our first night we going ab old McDonald's hashbrown. The pool was very small and the gate open caked every time it closed with no way to open it unless someone else was inside to let you in. The room smelled like smoke. The two beds had different mattresses on them. I apologized about these issues. We will ensure this problem will be fix on your next stay. Don't expect any help from the staff. They are understaffed, overwelmed too busy to even answer their phones. The rooms are "OK" and a reasonable value for the area. But, getting anything, (even a receipt) is beyond the ability of the staff. Thank you for completing the survey regarding your recent stay at our property. On behalf of our entire team, I would like to apologize for not exceeding your expectations. Your satisfaction is important to us and we will be using the feedback you gave us to implement improvements to ensure we offer a better experience for guests in the future. I hope that you will consider staying with us again so that we can have another chance to provide you with a superior experience. If I can provide any assistance, please don't hesitate to contact me directly at 408-929-8100. "Only hotel in the area under two bills"
Picked this hotel on price alone. There are many reviews pointing out the sketchy location - definitely not the best area but I have been in much worse. To put it in perspective the neighborhood behind the property has a home value of only $600K. NO fitness center. Limited parking shared with some small retail outlets next door. Limited walkalbe dinner choices. Friendly staff. Typical BW breakfast. Painfully slow internet. Pick an even numbered room to stay away from traffic noise. My room (111) was 17 steps from Tully Rd. Thank you for taking your time to review us. It started raining again at night just as I returned to San Jose. The private road to my house had been covered with a tree/rock/mud slide so I looked for a motel to stay that would be near where I had an appointment on Zanker Rd the following day, but that would be close to 101 where I would be heading south to go to Santa Maria on Saturday. Pretty much everything I needed was inside the BW, but that which wasn't was within walking distance. It was a nice quiet stay. We are glad that you are able to enjoy your stay at our property in this rainy weather. 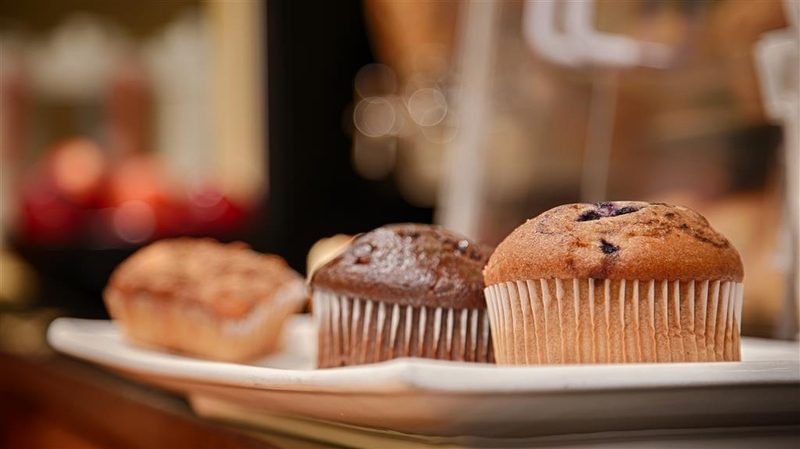 We offer a full hot breakfast in the morning, free Wi-Fi, and free parking. There are a lot of restaurants that are walking distance surrounding the property which makes it easy to find a place to eat. "near park and fly, and airport"
Night clerk graciously assigned me a quiet room down the hall when I explained I'd be rising very early. Hot breakfast served at 6:30 but there were cereals, fruits, breads, juice at 5 am. NOTE: Entrance to hotel is NOT on Tully. Confusing, so turn onto Lanai, then into Sleep Train parking lot for the hotel entrance. No freeway noise, just a little from Tully. Staff very helpful. Thank you for taking your time to give us a survey!!! This was night to visit the town and enjoyed very much.on this trip, I'm looking forward to stay there more for next time I'm in town. Also next to a freeway and a lot of food. Nice to take a walk around. Thank you for staying with us. We have many restaurants and places to eat around the area. Hopefully you get to try all the Asian and Hispanic local Restaurants the next time you stay with us. When we arrived to this location there were young friends of the agent hanging around front smoking and staring watching us. They were hanging out inside as well watching tv in the lounge area. Our room was good the bed was very comfortable but the sheets and bedsore had recent stains on them. GROSS!!!! We this is our second stay here and found them to be friendly and helpful. The night manager gave us a great recommendation for shopping and dining. The room was clean and comfortable. We got the suite with the king bed and sofa bed. The room was large and roomy. We plan on returning. "Convenient Location & Great Service!" My husband and I stayed at Best Western Lanai for 3 nights in Sep 2016. While researching for my week, I noticed that the rate for weekdays are higher (about 45%) than the rate for weekends due to the Silicon Valley. Travelers come to San Jose on weekdays for business therefore Mon-Thu rate are high. If your dates are flexible, stay on Fri-Sun for a lower rate. Even with this supply/demand rule, the rate at BW Lanai is reasonable, even better comparing to other hotels in San Jose. Our room, 112, facing the back, was well maintained, comfortable, nice and clean! It was quiet at night. All staff members were very friendly and helpful. The manager, Tuan, was helpful, pleasant and nice. He gave us tips about restaurants, famous entrée for each restaurant, and suggestions for nearby attractions. The location is great, right at Hwy 101, less than 10 mins from San Jose Convention Center, Children's Discovery Museum of SJ, Vietnam Town, and Grand Century Shopping Mall. We enjoyed our stay at BW Lanai and would recommend this hotel. "Business trip to the Bay Area"
Thank you for taking time to complete the survey, we appreciate your valuable suggestions. Here at Best Western Lanai Garden Inn & Suites the entire staff sincerely thank you for being our guest and we look forward to seeing again soon. "Great Hotel - Bad Neighborhood"
Room was clean, organized and suited for business travel. It was also very price competitive. Used my Best Western Rewards & Senior discounts. Front desk agent was very professional, although difficult to understand on the phone, due to the Vietnamese/Broken English communication. The neighborhood, however is run-down with many transients in the area, especially around local restaurants. Getting to the parking area and hotel is through the sleep train mattress center parking lot off of Lanai Ave. There is no driveway just to the hotel. But, it is right next to the 101 FWY, which makes it a convenient location. They have a security guard that roams the parking lot, or so they say - but they do have many disclaimer signs stating they are not responsible for loss or damage. I always get uneasy when seeing these signs, not that I expect them to be liable, but that they've had enough incidences to warrant the sign to begin with. Breakfast was as good as Holiday Inn Express, or the many that I've stayed at. The breakfast area was well-maintained with eggs, sausage, bacon, toast & muffins, cereal, yogurts, fresh fruit & juices. "Good value for San Jose but tight parking"
I stayed three nights while on business in San Jose. The room was very nice and the staff was friendly, however the neighborhood was sketchy and parking was pretty tight. Thankfully they have night parking lot security. Thank you for taking time to complete the survey, we appreciate your business and BW team appreciates your valuable input. Thank you. Best Western Manager. Traveling back from So Cal and needed a place to stay. Found this hotel right on that route. The rates were excellent and the room was great. Very clean and spacious. Also, the breakfast was nice and made getting going in the morning much easier. Thanks for a nice break from the road. Thank you for taking time to complete the survey, BW team appreciates your valuable input. Thank you. Best Western Manager. "Moving to San Jose "
This hotel was very reasonably priced for San Jose. It was quiet, had comfortable beds, good breakfast, and free parking. 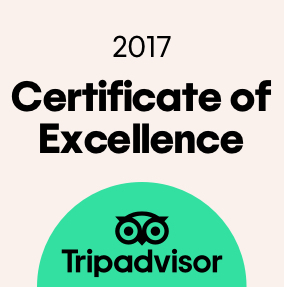 Overall very pleased with the value we received here and would definitely stay here again. "Have stayed there several times before, but..."
the room we had this time was in a bad state of disrepair. Paint peeling around the shower; mold up in the corner of the shower; partially-finished removal of wallpaper behind toilet; window that was VERY difficult to open. During our stays there before, the rooms have been clean and inviting, and staff very pleasant. This time, staff was still very nice, but room 208 should have been kept out of service until the obvious issues were resolved. Sad to say this might be the last time we stay there, which is too bad, since it was very affordable, and up until this last stay was our first choice. Thank you for taking time to complete the survey, we appreciates your valuable input. We have taken your suggestions very seriously and have taken all corrective actions. We look forward to your future arrival to hotel. Thank you. Best Western Manager. "Good clean hotel for business travel"
This Best Western has easy access off the highway. The double queen room was a very quiet and comfortable room. I would stay here again when traveling to San Jose on business. I definitely recommend this hotel. Thank you for taking time to write a review, I will share your positive comments with the staff, your satisfaction is a great motivation to everyone at Best Western Lanai Garden Inn & Suites. Thank you. "Passing through, great place to rest"
We're were heading back south from an event in Berkeley and needed a good place to stay. We've always done well with Best Western and this one did not disappoint. Large room, friendly staff, and a good breakfast made our stay very enjoyable after a long day. Thank you for taking the time to write a review about you recent stay with us. Your heartfelt comments are appreciated. Hope to see you again when visiting this area. 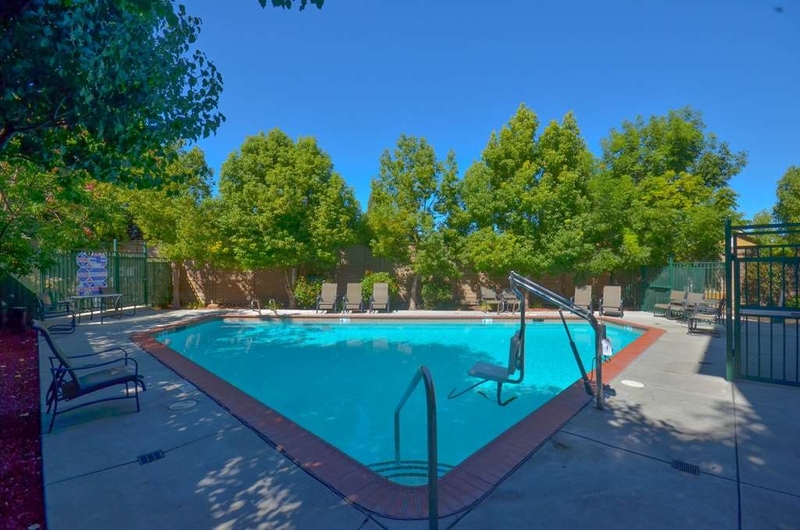 "Good value for San Jose"
Located just off the freeway, 10 minutes from down town. Pleasant staff and super comfortable beds! Worked well for a four night stay when we needed to be in San Jose. Property is getting a little tired but everything worked OK. Typical breakfast, usual buffet but nothing special. Several fast food places close by but nothing classy. Thank you for your feedback. All our staff works hard to ensure that every guest have a memorable experience. "Boutique hotel, easy accessible, and very accommodating." Lanai Garden is a small boutique hotel, kind of large enough to serve you, (Best Western network,) small enough to know you. Easy accessible, right on 101 and Tully exit, off ramp. Nice facility. Very accommodating staff. 4 stars for great staff. Bonus star for unique facility. Our staff is thankful that their hard work is appreciated. "Fine for one night on a road trip"
We stayed here for one night only checking in late in the evening after landing at San Jose airport. It's only a 15 minute drive from the airport, not a scenic area but a no-frills motel, fine for a place to lay your head on a road trip. Breakfast was included, again, standard motel food. The staff were very friendly and helpful. Internet speed was fine. Thank you for taking the time to post a review about your recent stay. We spent 4 nights are Best Western Lanai. Rooms were clean and comfortable; hot breakfast was excellent and we even enjoyed the pool! The location made it easy to find our way around. We will stay here on our next visit! While the surrounding neighborhood the hotel resides in is a bit sketchy (and not one I would feel comfortable walking around), the hotel room was clean and the beds were comfortable. Stayed on the second floor so I didn't experience the 1st floor issues in the other comments. Staff was friendly. Thank you for writing a review about your recent stay with us. We try to keep our property clean and inviting,but we do not have much control over our surrounding neighborhood. Great location,First block off the the 101. No entrance off Tully Road driveway is on Lanai Avenue. Very quiet even though it is within a block of the 101. The room and the bathroom were clean and spacious. The bed was great, good nights sleep. Breakfast area was roomy. The breakfast was good. The woman preparing the food was very cheerful, I think she enjoyed her job. No guest laundry. Will stay again. Thank you for taking the time to post a review about your recent stay with us. The breakfast attendant,Evelyn appreciates your comments. Our room was large and clean. The fact that the hotel and our room was clean is very important to us. Front desk staff [THUY & DILIP] was friendly, very helpful and efficient. Good location as it is right off 101. Always nice to start your day with a good complementary breakfast. All our staff appreciate your kind comments. Hope you will choose our property the next time when you visit this area. My husband and I stayed at the Best Western Lanai Garden Inn & Suites in June 2016. I would rate my overall stay experience at a 6 out of 10 (10 being the best). The staff at the front desk where not overly friendly, but were professional. The bed was comfortable. The pillows were acceptable. The room was not amazingly clean, but not filthy. The bathroom was clean. The hallways on the other hand did not looked vacuumed and was stained more than I would have liked. Hotel has a slightly dated feel. The pool had a slight green tint. That was not appealing. It was leaf and debris free though. I did not get in the pool, so I can say if the temp was acceptable. The room temperature was good. Free parking was included. Free Wi-Fi included. This is going to sound crazy, but the iron was the best. It got hot and did not randomly spit out steam and water. I know many people do not iron, but we iron almost all clothing and it was nice to have a hotel iron work well. That is not the usual. The breakfast bar was your typical continental breakfast, maybe a little below average in selection and taste. The food area was clean and organized. The coffee was good. The location was great. It was right off 101 highway. We did hear a little muffled traffic from the highway. The hotel is close to many restaurants and gas stations. Your details comments are highly appreciated,this points out the areas of improvement in our product and service. Thank you. It's a good place to stay, quite, and clean as well. Nothing breaks down like some other hotel. Free breakfast, internet, and parking is a plus. It's little on the high price at about $200/night but I guess when it's high season you have to pay for it. Thanks for your review and positive comments. looking forward to serving you on your next visit to this area. This was an excellent place to stay as we used this as our home base for seeing attractions with in a 100 mile radius. The staff was helpful and a pleasure to deal with. Senaida was a wonderful person to deal with during our stay. Thank you for taking the time to write a review about your recent stay with us. Your positive comments are appreciated by all our staff. "I have absolutely nothing bad to say!" one minute from freeway. Easy parking. Rapid check in with extremely pleasant staff. Absolutely clean and well furnished room. Good selection of TV stations. Wifi much faster than most places I stay. Nice breakfast selection. Nuff Said. Thank you for your kind review. Hope to see you again when visiting this area. Booked this hotel due all four start hotels in the area were fully booked. Staff was pleasant and easy to deal with. Price was a bit steep, but I'm sure that was due to all the hotels in the area being fully booked. Hotel is decent, but definitely not a four star property. Nearby dining is slim. Down, and across the street is a Jack in the Box, and across the street is a Denny's. I'm sure it was might have been safe, but the road between in extremely busy. The only other options are delivery from local restaurant's or driving to locate something nice. Was not overly impressed with the continental breakfast. Personally would suggest walking, or driving to the Denny's across the street. Thank you for sharing your concerns about your recent stay with us. We are sorry that our product and service was not up to your standards. Your review is highly appreciated. Thanks for your suggestion about different pillows. "Is very convenient if you want to stay close to San Jose State University"
Our stay was to see my sibling graduate from San Jose State University. The room was nice, very quiet, but a little to expensive.They did serve breakfast and is also close to a lot of restaurants, malls and and the University since that was the purpose. Thank very much for the positive review about recent stay with us. Even though the room hair dryer stopped working after several minutes of use, this was the first time something like this has happened, so I would still stay here again. I was most happy to see it had a bathtub for bathing as I hate showers and most hotels now are only providing comfortable (?) shower stalls or areas. Thank you for the review about your recent stay. We apologie for the hairdryer not functioning properly. We are in the process of replacing all hairdryers that are more then five years old. "I live in Florida, my first time visiting my family in San Jose, I found this hotel location online." This hotel location is very close to my family house, also convenience store just right outside, restaurants, staffs is very friendly and nice, nice hotel, room very clean, breakfast is very good, I will come back and stay again. Thank you for taking the time to write a review about your recent stay with us. all our staff were pleased to read your review,great motivation for them. Hope to see you soon. "Very nice staff, average hotel, expensive"
It's very convenient to the expressway and is surprisingly quiet. It's well kept and the included breakfast was nice. Hotel staff was very nice, friendly. Good sized room and nice to have a refrigerator. The cost of the room was too high for an "average" hotel room. Thank you for your review. Your comment about high prices is noted, please bear in mind that the cost of maintaining a business in the bay area is much higher then the rest of the country. Thanks for the heartfelt review, this inspires our staff to work hard to provide excellent guest satisfaction. 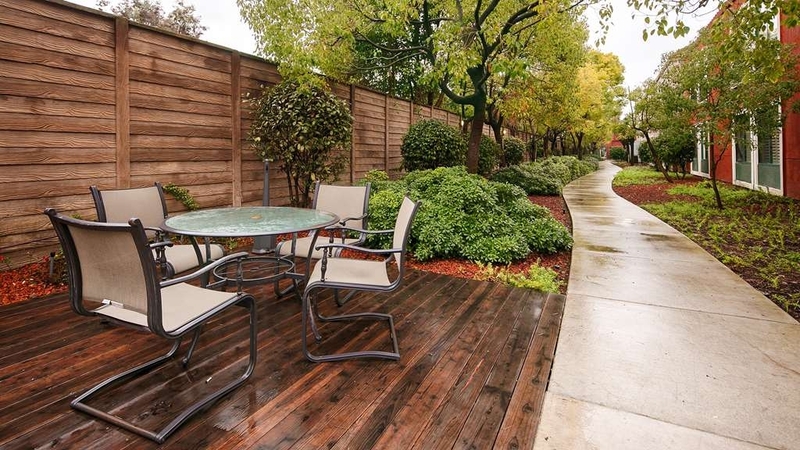 If you need to be in the South area of San Jose, the options are limited to mundane or over the top except for this property. Not altogether that impressive from the outside because of its hidden corner location by the freeway and all the worker trucks in a limited parking area that have obviously discovered an enjoyable property as well. Its all on the inside. Great staff! Reasonably good breakfast. Impeccable internet. A lot of attention to the decor, especially the hallways...very often a neglected and run down area that just leads to your lodging space with pride. One of the best beds experienced in a BW property! The price point is higher than normal for equal rooms in other BW properties, but that is more San Jose and stupid taxes that punish the traveler instead of embracing them. Overall, a good experience in a specific part of the San Jose community where you might expect less. The owners should be proud of their effort! Thank you for the review about your recent stay. All our staff were excited to read your positive review, such comments inspires them to work hard to maintain great customer experience. This is a terribly expensive area and it is hard for me to find a place that doesn't create potential issues with my expense account. While this place is not cheap, for the area it is at least reasonable and the location is convenient to the place where I teach. I stay here several times a year and have never had a bad experience. I wish there was a place to plug in my Chev Volt. Thank you for taking the time to write a review about your recent stay with us. We welcome your suggestion for an outlet to plugin a hybrid car. The owners are aware of this and will have one in the near future. I want to like this property but it's a struggle. It's in a good location off the highway and there are a handful of inexpensive restaurants within walking distance. The rooms were redone and are fresh and clean. The problem is... a lot of little problems. There was was a lot of noise that came through from the neighboring rooms. The plumbing from the room above me was so loud it woke me up in the middle of the night, and I've been known to sleep through a tropical storm or two. The multi-suspect drug bust that went down on the closest street corner wasn't a welcoming site after a day of meetings. Overall a few highs but more lows. Thank you for sharing your honest comments. Please accept our apologies for your unpleasant stay. I selected the Best Western Lanai Garden Inn for its close proximity to SJSU where I was working this past weekend. It was a good location and close to food and the freeway. It was not noisy and we did feel quite safe there. I would stay there again. The food was average but edible and included in the cost. The room was clean, although not very big. It was fine for 1 night. Our staff appreciate your comments, this inspires them to work hard to provide excellent guest experience. Just another moderately overpriced, average BW hotel. We had a king bed in a regular room and paid $123 with taxes. Wasn't primetime or any major events happening, but because it's any where in San Jose you pay well over $100. The staff was very courteous and helpful. Otherwise, nothing else of note. Thank you for your review, your concern about high prices is noted. Prices in this area are higher then the rest of the country,cost of operating a business are high in California. We have stayed at this hotel 3 times in the past 12 months. It is in a prime location for business or pleasure, and the rate is good. We rate it outstanding because of the staff, who are exceptionally friendly and accommodating. We like staying in suites that have a sofa and extra room, and this hotel has very nice suites. The free breakfast is very good, too. It upholds the Best Western quality and reputation. We highly recommend it. Thank you for your repeat business. Hope to see you soon. Although generic from the outside, the hotel interior is much more modern and well maintained that the average Best Western hotel. The breakfast had very modern equipment including a high tech coffee/espresso machine and a pancake maker, providing a very nice variety of food and coffee options. Staff was very friendly and helpful. All our staff tries hard to maintain the property and provide great services. The bed was very comfortable, the room was pleasant, the heater was a bit noisy in the first room we stayed in, but the heater was quiet in the second room we were moved to. The staff was super pleasant and helpful. The location was easy to find and convenient for our business . Our staff welcomes your positive comments. "Old and tired - nice staff"
Stayed for one night for a conference nearby. Hotels in this area seem to be extremely expensive, this was the best price I could find for a semi-decent hotel. It's not easy to find the turning into the hotel either. Once there, the staff really are friendly and do try hard (especially Tuan the manager). But, it's an old and tired hotel - breakfast was basic and not pleasant - didn't feel fresh. The room was fine, but also old and dark as were the corridors. This property could really use a complete renovation - was the worst hotel on my trip - but served its purpose. I wouldn't go back unless it was significantly cheaper than any comparable hotel. "Clean room everything is ok"
Hotel is a good basic facility. Breakfast average. Near the freeway. No freeway noise. A little spendy but San Jose is not cheap. We would go back again. This is a good location for anything you do in San Jose. "a little pricey for a Best Western"
Very good overall but pricing is a bit high for the nights. Staff were very good and excellent. Distance to my destination was very good. Price can be better for each night charges. Continental breakfast was excellent, most especially different choices of food served on different days. 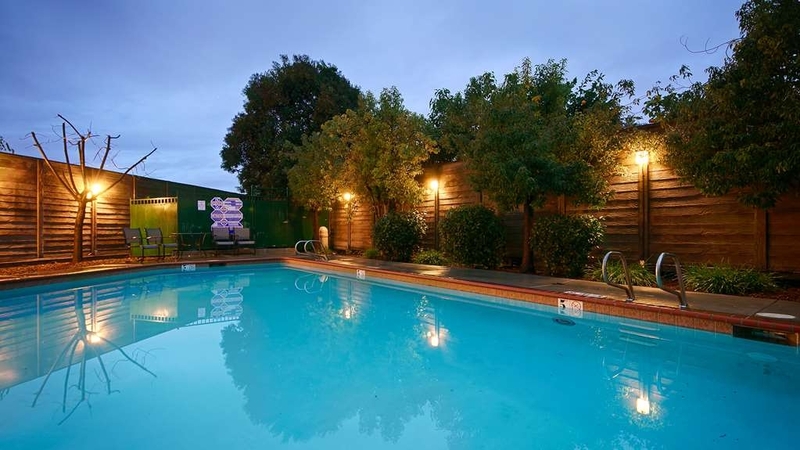 "Lanai Garden Inn & Suites, San Jose"
Excellent, convenient spot with great customer service for the business traveler. I searched for an ideal spot online before my trip and did some research before choosing this one. I'm happy it all worked out so well. Excellent hotel, the staff are very good at taking care of their guests. My room has been well maintained. I had a great nights sleep. Parking is good. Freeway access is great and there is no traffic noise in the hotel. We were enroute to the Central Coast and needed a place to stay near US101. The location was great. Price was good value . We were given a free upgrade to a king suite. The room was spacious, clean and quiet. Just what we needed. Stayed here because it was located close to our son who lives in the nearby hills above San Jose. The room was fine, the staff was pleasant, breakfast was fine, but the area felt a little "sketchy." Price was high for what was offered. Definitely not a bargain. Probably would not stay here again. This hotel just happened to be close to a clinic I was working at. Overall from the time of check-in to check-out the staff were always smiling and helpful. You felt as if they were glad they were there!! Room was clean, bed comfortable and I will plan to stay there again!! Thanks for the nice review. We always try hard to ensure that all guests have a positive experience. "NOT GOOD if you are NOT DEAF"
Thank you for writing a review about your recent stay.Please accept my apologies for the disturbance you experienced during the night. This property in San Jose is the worst value for the amount charged i have ever encountered at a Best Western Hotel. I am a Platinum Member. I go to many locations. When doing a review I consider price to value received, location and amenities. Most Best Western properties have a good value for the money spent. This Hotel is very basic in regard to what is offered. The room is simple, has the basics but was not in the best working order. The faucet on the shower was hard to turn, did not indicate hot not cold and I was not able to turn it off completely. The shower curtain was too short and blew over the tub when water was turned on wetting the floor. The soap and shampoo was terrible unlike my other two recent stays at other BW properities. The food was basic and the room bland..like the food. The staff (with the exception of the checkin person) had not personality nor much to say. When I arrived a homeless person was sitting near the front door smoking and eating out of a bag. The property is not in the best are of town. There are no decent places to eat nearby.A Dennys and a Taco Bell were all I saw. My biggest complaint is your PRICE!!!! $229.00 for this depressed place! I stayed in Pacifica, CA on the beach in a suite for less. In Gaviota the hotel was $130.00 and heads and tails above this place. I will never stay here agine. Horrible. Thank you for your time to write a review about your recent stay. Your comments are taken to heart and our apologies for not meeting your expectations. I attended a conference at the SJ Convention Center. The hotel was much less expensive than the ones next to the SJCC. The drive was about 12-15 minutes. I stayed for 2 nights. The hot breakfast was consistent and good. The room was quite. It faced away from Tulley. The bed was comfortable. I had a great night's sleep. I will stay at BW Tulley during next year's conference. Thank you for taking the time to write a review about your recent stay. All our staff consistently try hard to provide memorable guest experience. "Decent price but confusing entrance to the hotel"
Price of the hotel was decent, but the hotel driveway entrance was confusing. The address is on Tully Road but the entrance is on Lanai Avenue. We missed the entrance and had to turn around in heavy traffic to get to the hotel. Room was nice and compact. My one complaint was the noise from the toilet flushing or shower running was very loud in the room - so much that the TV volume had to be increased. The hotel is conveniently located right next to the freeway entrance but the freeway was very congested at 6:30 am. Travel time to the airport was 30 minutes. Can't comment on the breakfast since we had to leave by the time they opened. Would be nice if they opened 1/2 hour earlier for the early departures. Thanks for your comments about opening breakfast earlier for guest departing before we open, We are in the process of preparing "breakfast to go bags" for early departures. This hotel was very nice. Front desk staff was very nice and efficient. Due to an early flight, didn't try the breakfast, but there was a nice area for eating. The bed was nice, the TV was nice, there are TONS of places to eat around the hotel and it has very easy access to Hwy 101. The only real complaint that I have is that if you are a light sleeper or need to get up early, ask for a room at the back of the hotel, because there is a very busy intersection out in front of the hotel. Otherwise, I'll stay here again! Thank you for the kind comments. Such guest experiences are welcome by all our staff and this encourages them to provide a great guest experience to all guests.. Thanks for writing a review about your recent stay. We are in an area where the cost of doing business is much higher then the rest of the country. Thank you for your review about your recent stay with us. Such positive reviews encourage our staff to provide great customer experience. Breakfast host exceptionally friendly and hard working. Beds very comfortable. Location hard to find at night. Good place to stay if coming into San Jose airport if you do NOT need an airport shuttle. Such comments motivates our staff,thank you very much. "Business in the Bay Area"
Very convenient location off Hwy 101 near the I-280/680 junction. Nice comfortable room, which was very quiet considering how close to a main thoroughfare and the freeway. The breakfast was also better than what I've over the past year of business trips I've had to make. We thank you for taking the time to write a review. Hope to seeing you again when visiting this area. "Hard to find the hotel lot entrance"
The entrance to the hotel lot is hard to find because it (entrance) is located on a side street and you have to enter thru another property's parking lot in order to get into the hotel lot. Also the hotel is located near a freeway on ramp and during rush hours there are lots of cars/traffic congregating in the front street of the hotel. Room clean and breakfast was ok. Front desk clerk was polite but not friendly, maybe she was just tired and trying to survive a long days work. We will stay again in this hotel when the time comes and recommend to our friends. Thank you for your comments,the area around us has developed a lot,and this brings high traffic. For the price paid, this hotel is a steal! Ive paid much higher rates in the San Jose area. Great place to stay and convenient location right off the freeway and close to the golf club (Silver Creek Valley) where i was attending an event. We thank you for the heartfelt comments, our staff works hard to provide a comfortable stay. "Not so great location- OK room"
This hotel is ok, the room was clean. I did not think the bed was very comfortable. The location is not that great but for the price in San Jose it was OK. Not sure if I would stay here again, maybe in a pinch. Thank you for the review,unfortunately we cannot control or improve the neighborhood.